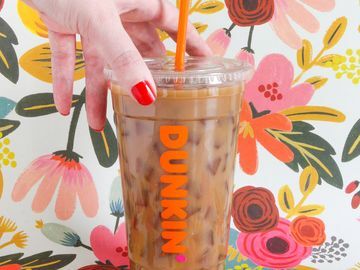 Every two years, Dunkin’ Brands publishes a Corporate Social Responsibility (CSR) report highlighting the company’s ongoing efforts and commitments to becoming even more sustainable. 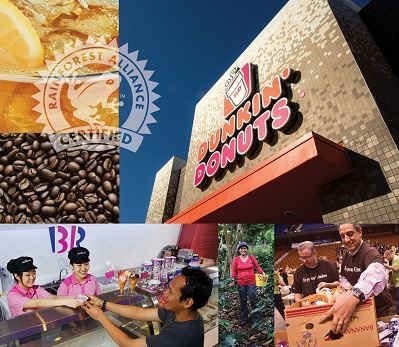 Last week, Dunkin’ Brands announced the release of its third CSR report, Broadening Our Horizons, which details the progress made in the past two years against goals outlined in the 2012 CSR report, Focused on Sustainable Solutions. The report also sets new goals for the future in the areas of sustainable building, packaging, product sourcing, nutrition, supporting local neighborhoods and more. 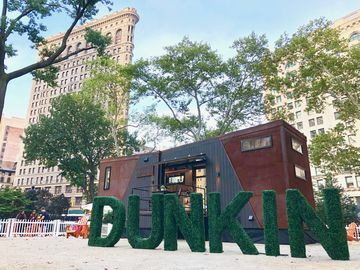 Last December, Dunkin’ Donuts launched DD Green Achievement™, a program designed to help franchisees build sustainable restaurants that are more energy- and water-efficient, healthier and reduce landfill waste. There are eight DD Green Achievement restaurants open so far, and we have committed to opening 100 DD Green Achievement restaurants with our franchisees by the end of 2016. 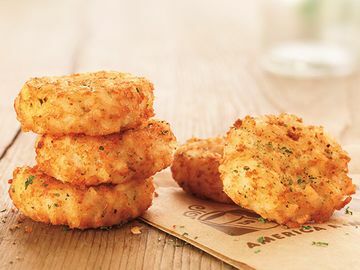 For more information on what makes a DD Green Achievement restaurant, please visit here. Finding a recyclable alternative to the Dunkin’ Donuts foam cup has been a focal point in our CSR efforts and we remain committed to this goal. 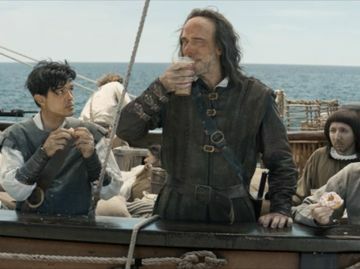 While we’re not in the position to confirm a replacement for our foam cups at this time, we expect to make a decision and commit to a national rollout timeline by the end of this year. More information on the materials we tested and our foam cup alternative search can be viewed in this year’s CSR report (page 26). The past year has been a successful one for our sustainable sourcing goals. We committed to source only 100% sustainable palm oil in the U.S. by 2016, achieved 5% cage-free eggs in 2013, established a timeline for eliminating gestation crates and launched our new 30% Rainforest Alliance Certified™ Dark Roast Coffee. For a comprehensive look at how we measured up to our 2012 CSR goals, please visit the full 2014 CSR report here: http://dun.kn/CSR2014Report. While a lot has been accomplished, there’s still a lot we can do and we remain committed to reducing our impacts throughout our business. Come back next week where we will provide a recap on what we plan to achieve with our CSR efforts in the next two years.